In 1997, Dr. Kan was the recipient of the Best Research Award in the 12th annual meeting of the Academy of Osseointegration. He also received the Judson C. Hinckey Scientific Award from the Journal of Prosthetic Dentistry in 2003 and the Robert James Achievement Award in 2005. 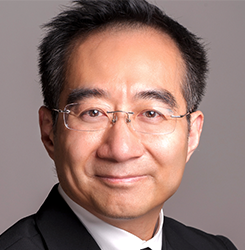 Dr. Kan is on the Periodontology/Implantology Editorial Board of the Practical Periodontics & Aesthetic Dentistry. He is a member of the American Dental Association, Academy of Osseointegration, American College of Prosthodontists, American Academy of Fixed Prosthodontics and an associate member of the Pacific Coast Society of Prosthodontists. Dr. Kan is one of few clinicians worldwide that had been trained in both the surgical and restorative discipline of implant dentistry. Besides lecturing both nationally and internationally, he has published over 40 articles in reference journals and chapters in textbooks.